Priory School’s talented U15 boys’ novice trampoline team now head to the British Schools’ Gymnastic Association National Trampoline Finals in Belfast on Saturday 24 March after qualifying for the event in first place after the Southern Zonal Finals last Sunday. Priory took two amazing novice teams to Jumper’s Rebound Centre in Gillingham, Kent, to compete against 350 trampolinists from over 100 schools in the southern region. Sadly the girls’ team did not qualify for the national final due to exceptionally stiff competition on the day. 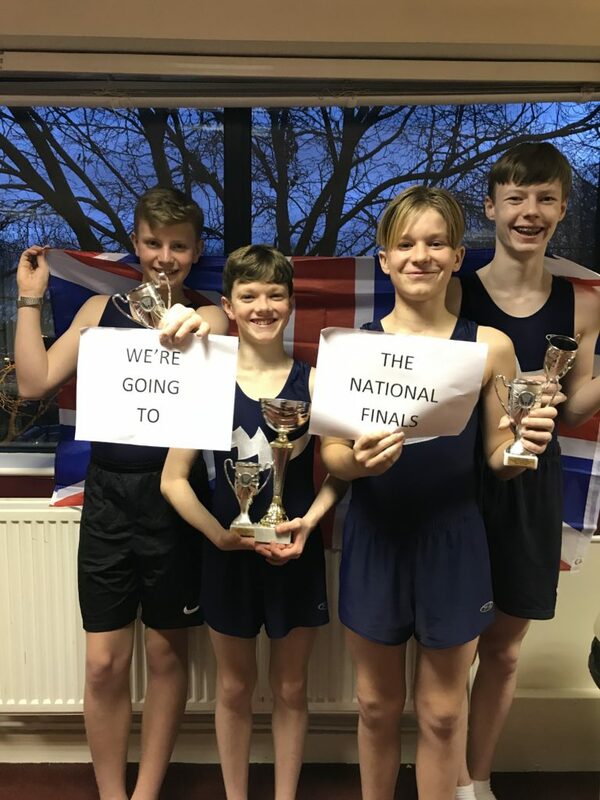 But the boy’s team of four are now flying the flag for the school, with one member of the team, Barney Christie, also through to the individual final which is an amazing achievement given the length of time that the boys have been learning the sport. The team, who began working together as part of their GCSE PE syllabus, have proved to be naturally gifted and fearless bouncers who have benefitted from outstanding coaching from Jen Jordan one of the PE teachers in Priory School. As part of the competitive requirements, the students have to perform a set routine given by the judges and a voluntary routine set by their coach. Only the top two teams in each event qualify for the final so the boys have done exceptionally well as novice recreational trampolinists to be medalling so quickly. The team of four, with their cup and medals are: Barney Christie, Marvin Meal, Joseph Mason and Ethan Walton.